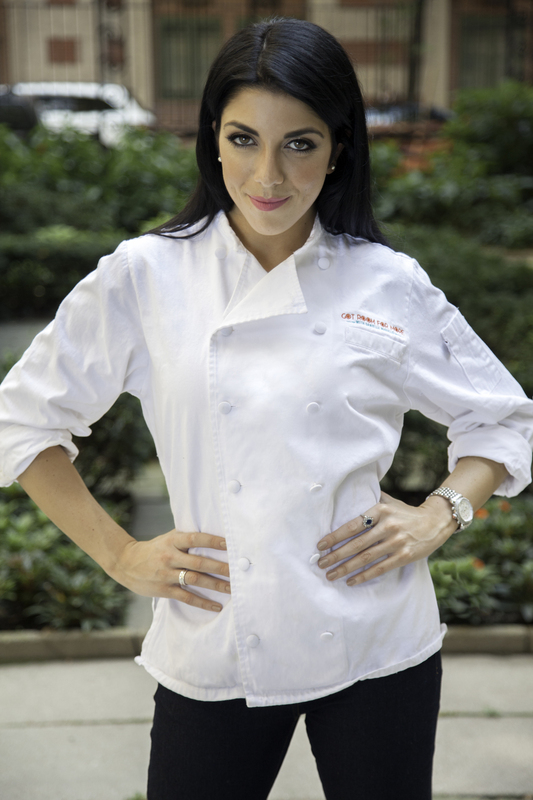 Danielle Marullo is a graduate of Penn State University’s School of Hospitality Management and is currently the General Manager of the Clement Restaurant at The Peninsula Hotel in NYC. She was formerly the Assistant General Manager of The Todd English Food Hall in New York's famous Plaza Hotel as well as the Food and Beverage Manager at the Peacock Alley and Oscar’s restaurants in the iconic Waldorf Astoria NY. Danielle graduated with distinction from the Professional Culinary Arts program at the International Culinary Center, like culinary icon, Chef Bobby Flay who Danielle assisted at the Food Network Food and Wine Festival in New York in 2010. In 2013, Danielle appeared on Anderson Cooper Live! where she was the winner the “Chopped Challenge” moderated by Food Network’s Ted Allen, based on the popular “Chopped!” television show. In Spring 2014 she was the third place winner of Spike TV's "Frankenfood" with her Braised Peanut Butter & Jelly Rabbit dish. 'Got Room for More' is not only a statement, it's a driving force. It spans beyond hunger and appetite, it feeds our yearning for more knowledge about food. Using the hashtag #GotRoomForMore will build and foster a community of other foodies just like us. Type in your email address to recieve email notifications when recipes and videos are added to GRFM!